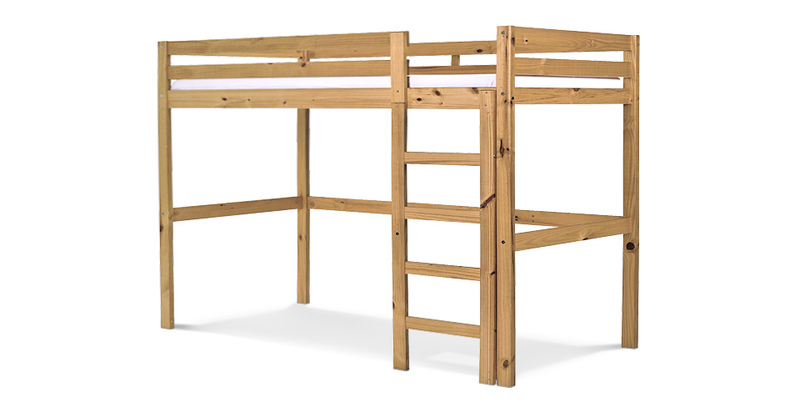 The Rimini High Sleeper Student Set by Verona is a bed frame that features the sleeping structure above additional storage. This adds a more fun element to a night time routine and it also offers valuable space saving solutions too with additional storage being able to be introduced. The Rimini High Sleeper Bed Frame by Verona is made from pine offering a strong and traditional bed frame. Please quote this Products's code 81048B to speed up your query if related.